Paul Attfield's major influences have been Laurence Alma Tadema and the Victorian figurative artists. He paints mainly in oils, and confesses to an intense passion for his work. 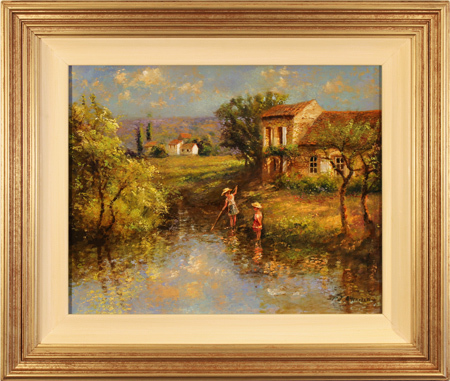 His remarkable talent for evoking a mood of tranquility and sensitive eye for the transient effects of sunlight on water are qualities that set the work of this gifted artist apart. Read the full Paul Attfield biography.